Most people do not want to handle, never mind examine, another person’s urine. However, the benefits of in-house drug testing vs. outsourcing to a clinic are abundant and should not be ignored or dismissed due to personal views. Many employers, up to 78 percent, require drug testing for at least a particular segment of their workforce. According to HireRight’s 2013 Employment Screening Benchmarking Report, this number is even higher in highly regulated industries such as transportation, which is reported at 98 percent. Staffing agencies, employers and pain management facilities can all benefit from the cost, time and productivity savings seen from using on site drug testing methods over the traditional method of outsourcing testing to laboratories. According to the Millennium Research Institute, most pain management facilities and chronic care physicians drug test patients two to six times per year in order to increase the effectiveness of treatments, by discouraging the use of non-prescribed substances, through structured care. 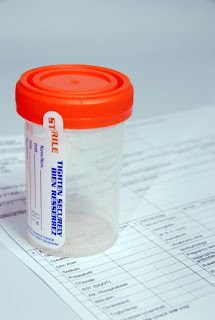 On average, standard drug testing can cost anywhere from $200 to almost $400 per test. Most do-it yourself drug test as a comparison cost under $20 per test. For Staffing Agencies, positions need to be filled yet employers who have drug testing policies have a responsibility to ensure the potential candidate is drug free. By installing in-house drug testing procedures, over 90% of costs are saved (including lower rates for workers’ compensation insurance), results are almost immediate and job candidate’s experiences are improved. If your business does a significant amount of testing, whether it is future hiring applicants or patients, in-house testing can be a great way to save money. For employers and staffing agencies, drug testing is usually the last step before a potential candidate is welcomed aboard, and the need for fast results is often high. In-house or on-site drug testing is an economical method of testing employees and potential candidates for staffing and corporate companies. Most standard drug testing results from a laboratory can take anywhere from 24 to 48 hours, while in-house drug testing; results can be available within minutes. This means, that an employer can find out much faster if a candidate does not pass their test, which in turns helps the hiring process by moving to the next candidate quicker. Another way in-house drug testing helps save time is the locations itself. If you are in a remote location, chances are a drug testing lab may be more than 30 miles from your work site. As an employer, you want to make the on-boarding process as easy as can be. Drug testing at your location, can speed the process along. With the amount of time it takes to find ideal job candidates, research outsourced drug testing facility options, travel to and from said outsourced facility and wait for test results, an employer could have instead used on site drug testing kits, and saved a lot of time, effort and money. The Millennium Research Institute observed that increased on-site testing not only improves the effectiveness of chronic pain treatments, but also decreases the amount of absenteeism and lack of productivity due to pain, provides suffering employees with legitimate documentation of sustaining from drug use (if ever needed for workers compensation or legal issues) and provides physicians with peace of mind regarding patients potential misuse of prescribed medications which could lead to a physician’s loss of job and or professional reputation. The cost savings for staffing agencies, employers and pain management facilities alone is enough to consider implementing processes to test for drugs on site rather than outsourcing testing to an expensive laboratory. With the number of low cost drug testing kits available, switching testing methods can be quick and easy, saving time, effort, money and much more.